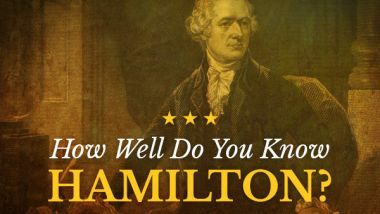 Hamilton’s America, the documentary film that brings history to vivid life through the lens of Lin-Manuel Miranda’s pop culture Broadway phenomenon Hamilton – winner of 11 Tony Awards® and the Pulitzer Prize — explodes onto THIRTEEN’s Great Performances. Produced by Academy Award® and Emmy Award®-winning producers RadicalMedia (What Happened, Miss Simone?, Keith Richards: Under The Influence, In the Heights: Chasing Broadway Dreams for PBS) and directed by Alex Horwitz, Hamilton’s America delves even deeper into the creation of the show, revealing Miranda’s process of absorbing and then adapting Hamilton’s epic story into groundbreaking musical theater. 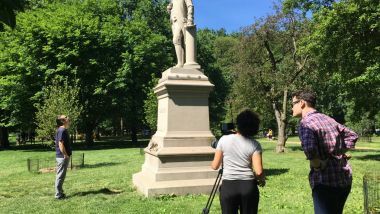 Further fleshing out the story is newly shot footage of the New York production with its original cast, trips to historic locations, such as Mt. 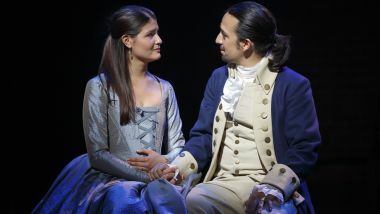 Vernon and Valley Forge with Miranda and other cast members, and a surprising range of interviews with prominent personalities, experts, politicians, and musicians including President Barack Obama, President George W. Bush. Speaker of the House Paul Ryan, Senator Elizabeth Warren, Secretary Hank Paulson, Secretary Timothy Geithner, Questlove, Black Thought, Jimmy Fallon, John Weidman, Nas and Stephen Sondheim. 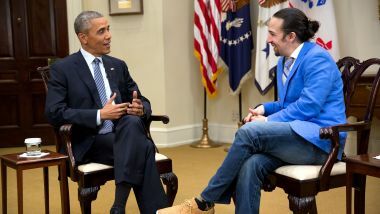 A unique window into the artistry and research involved in making the show, viewers will witness Miranda at the White House in 2009 performing an early version of what would become “Alexander Hamilton,” the first number in the musical and they will also be given an inside view of Miranda as he composes songs in Aaron Burr’s Manhattan bedroom. 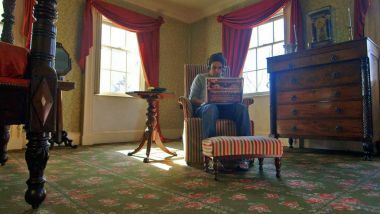 They will travel to Virginia with Christopher Jackson –who was Tony®-nominated for his portrayal of George Washington in the musical –as he reveals his personal struggle preparing for the role, while grappling with our Founder’s legacy of slavery. 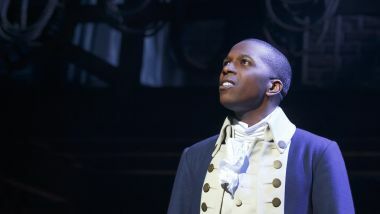 Back in New York, Miranda, who originated the Tony®-nominated role of Hamilton in the musical and Leslie Odom, Jr. – who won a Tony Award® for his portrayal of Aaron Burr – visit the Museum of American Finance to get a deeper understanding of the historical figures they are depicting on stage, including a memorable moment from this research trip, when the two actors brandish authentic 19th-century dueling pistols. Great Performances is produced by THIRTEEN PRODUCTIONS LLC for WNET, one of America’s most prolific and respected public media providers. Throughout its more than 40 year history on public television, Great Performances has provided viewers across the country with an unparalleled showcase of the best in all genres of the performing arts, serving as America’s most prestigious and enduring broadcaster of cultural programming. The series has been the home to the greatest artists in the areas of drama, dance, musical theater, classical and popular music, providing many with their very first television exposure. 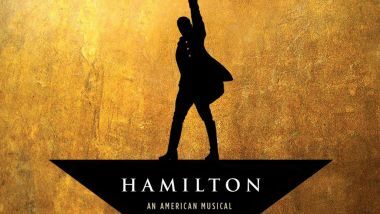 Hamilton’s America was directed by Alex Horwitz and produced by Nicole Pusateri, with Executive Producers Jon Kamen, Justin Wilkes, and Dave Sirulnick for RadicalMedia. 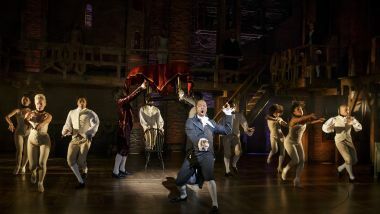 Jeffrey Seller and Lin-Manuel Miranda also served as executive producers. The Great Performances presentation is funded by the Irene Diamond Fund, the Anna-Maria and Stephen Kellen Arts Fund, The Joseph & Robert Cornell Memorial Foundation, The LuEsther T. Mertz Charitable Trust, Rosalind P. Walter, The Agnes Varis Trust, The Starr Foundation, The Kate W. Cassidy Foundation, Ellen and James S. Marcus, the Philip and Janice Levin Foundation, the Lenore Hecht Foundation, The Abra Prentice Foundation, Jody and John Arnhold, and PBS. 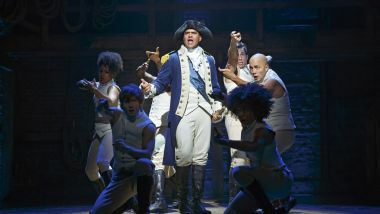 Major corporate funding for Hamilton’s America is provided by BNY Mellon.